You may all be wondering why the heck am I wearing neoprene shirt and shoes by the beach. 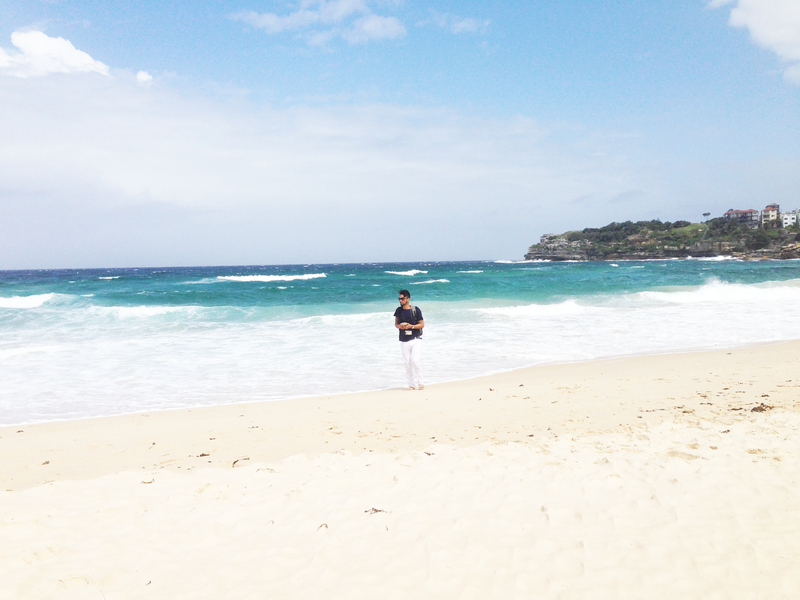 Well , we had nothing else to do in the city so we ended up going to Bondi beach. I wasn't actually prepared and haplessly I didn't bring any swimwear and a walk by the beach wasn't so bad afterall. 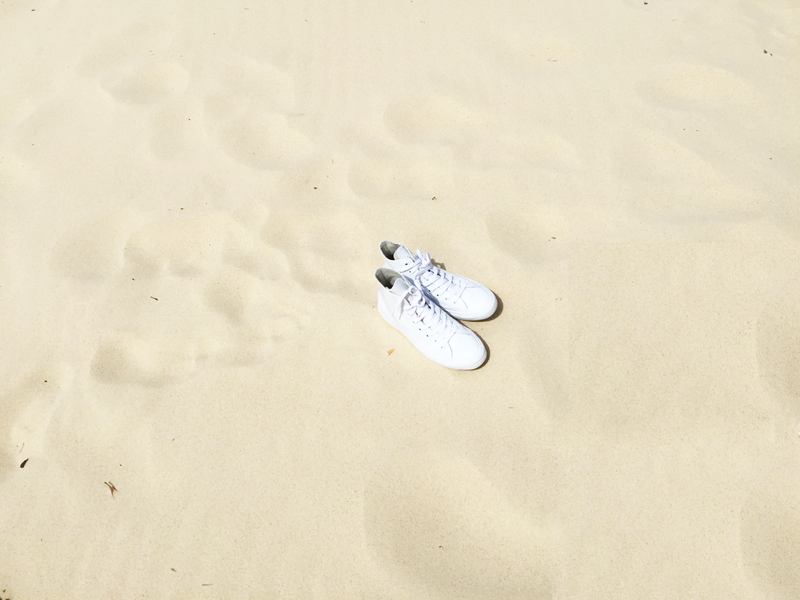 It was windy and the tiny sand are hitting our feet and ankles like machine gun bullets. If not with the shades, we would've been blinded by the flying deadly Bondi sands. I thought I would be seeing a bevy of hot Aussies working on their tan but only a few went to the beach that day making the whole place seems like we went to Dubai if not for the majestic frantic ocean. It was fun having a break from all the towering Sydney buildings and office people. A break from wearing white and black too , nevertheless because it's been a very long while since I wore something beige . Actually , I made this top back in the Philippines. 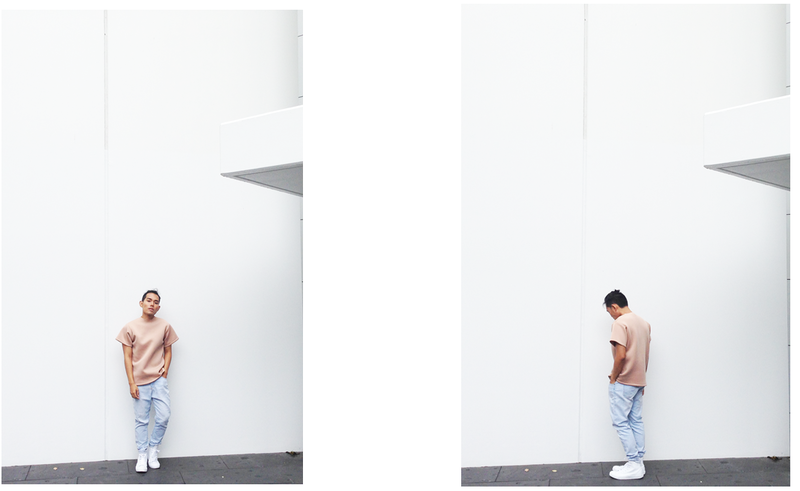 I told myself that I should make a beige shirt ala Margiela before going to Australia or I will definitely regret it and here it was. I love it so much! I've just followed you on GFC | #644 |. I hope that you'll support me too & follow me back. thanks babe.. omg yes.. i mss sydney now.